UNESCO: Reprieve for Stonehenge WHS? 41st Session of the World Heritage Committee in Kraków, Poland, 2017. Top table Chair (Poland) with Rapporteur and specialist advisors from ICCROM, ICOMOS and IUCN. Facing at individual tables are the WH Committee members, elected for 4 years. Ranged behind them are delegates from the State Parties including the UK . An ambassador is shown speaking on camera. UNESCO’S World Heritage Committee  has called on the UK Government to rethink plans to build a 2.9km tunnel for a widened A303 past Stonehenge. Representatives on the Committee from 21 countries agreed with UNESCO’s 2017 Advisory Mission’s report that the benefits of a 2.9km tunnel to the centre of the Stonehenge World Heritage Site (WHS) cannot be offset against the damage it would cause to other parts of the Site. Stonehenge Alliance representatives were present to hear the decision that firmly signalled to the UK Government that the Outstanding Universal Value of the WHS must be fully respected. It is very heartening that our concerns about the A303 widening project that we have voiced over many years are now being addressed by UNESCO. It is to be hoped that the Government will wish to adopt a more considered approach at Stonehenge that meets the demands of the 1972 World Heritage Convention for conservation, protection and rehabilitation of the whole WHS for future generations to enjoy. The UNESCO report was critical of the inadequacy of meaningful involvement of the top archaeology specialists and the wider community, including ourselves. We look forward to engaging positively in future discussions about solutions for the WHS. The Government has seven months in which to demonstrate its commitment to our country’s most iconic World Heritage Site. 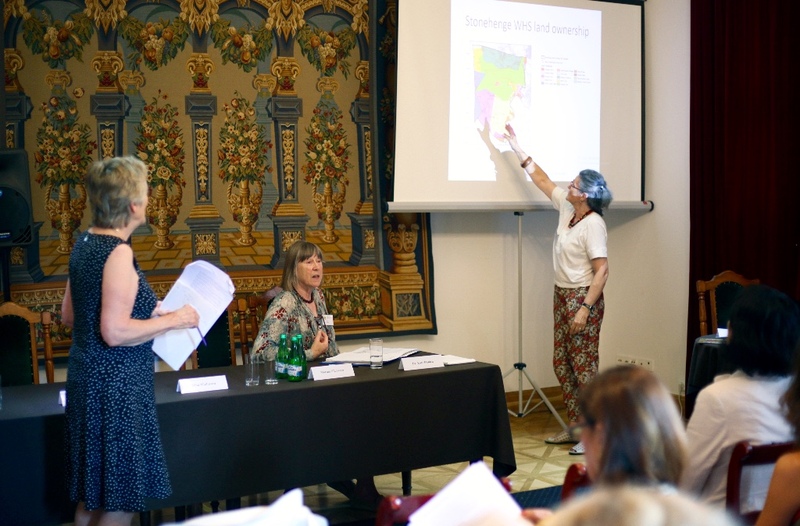 Last month the Stonehenge Alliance was invited to join World Heritage Watch (WHW) formed four years ago to support and enhance civil society’s engagement with UNESCO’s decision making process. WHW held a two day forum immediately prior to UNESCO’s annual WH Committee meeting. This year’s Forum included some 30 organisations from around the world who, like us, are fighting to safeguard their local World Heritage Sites from damage. 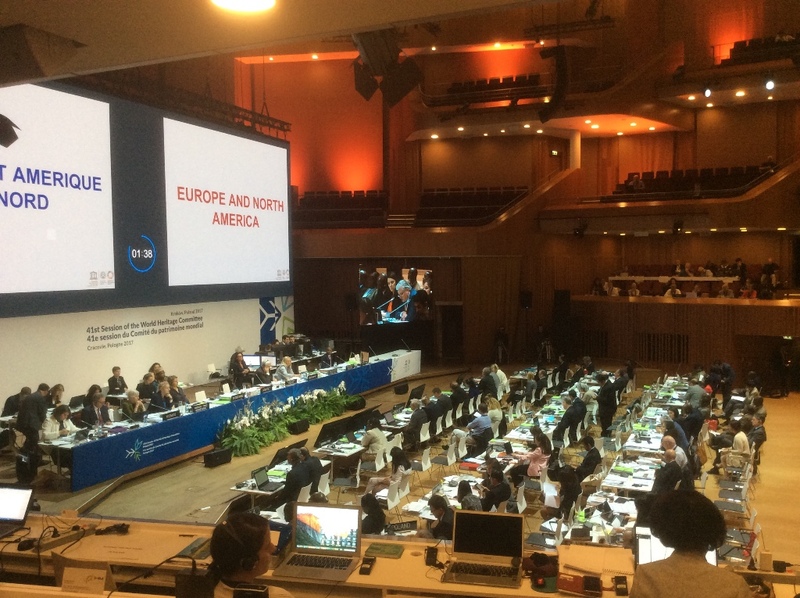 The forum was addressed by high level representatives from ICOMOS, IUCN, and the World Heritage Centre as well as an academic researching the accountability and politics of the WH Committee. The Forum experience was remarkable in giving us the opportunity to make friends and helpful contacts; and to learn about other World Heritage disasters and how they are being dealt with. We also gained useful knowledge about the workings of the WH Committee. Representatives of NGOs from around the world raising awareness of World Heritage Sites under threat. 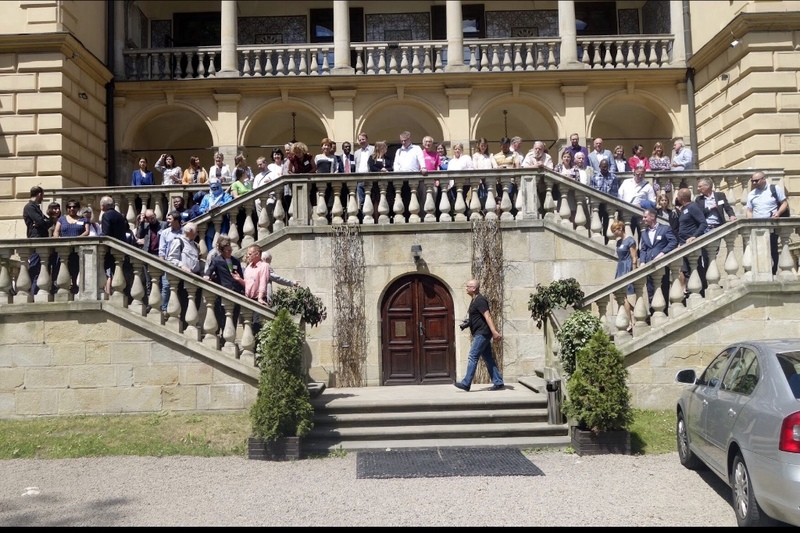 Villa Decius, Kraków, June – 1 July 2017 Photo: Elena Belokurova/World Heritage Watch, Villa Decius, Krakòw. Presentation by Stonehenge Alliance to World Heritage Watch Forum, Krakow Photo: Martin Link/World Heritage Watch, Villa Decius, Kraków. Lobbying: Portuguese Ambassador H.E. 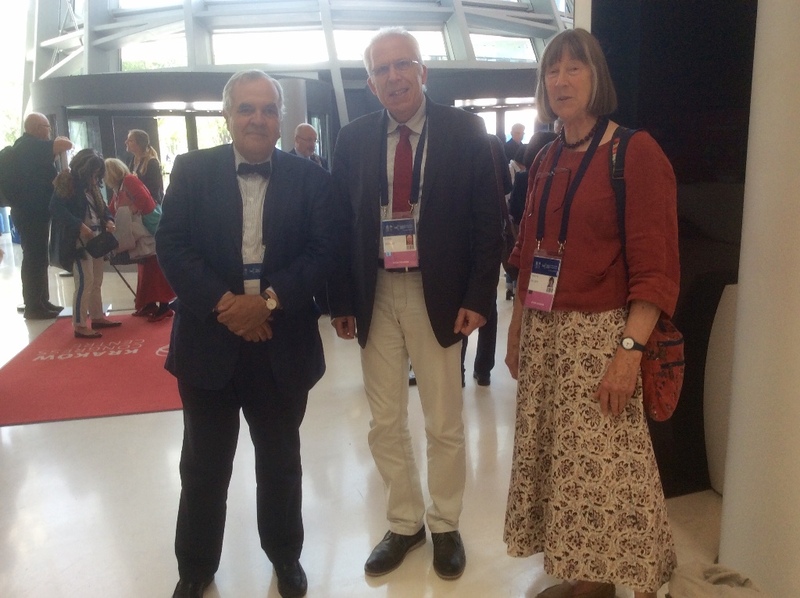 Senhor José Filipe Mendes Moraes Cabral with WH Watch founding Chair Stephan Dömpke and Kate Fielden, Hon Sec of Stonehenge Alliance at International Congress Centre, Kraków. 1. The UNESCO World Heritage Committee is made up of members from 21 countries who meet annually to consider nominations for WHSs put forward by the Paris based Secretariat, the World Heritage Centre, and to make recommendations based on specialist Mission reports on the condition of WHS properties. The Committee has powers to place Sites on the “at risk” register or to delist them. The management of five UK WHSs was criticised in reports to the WH Committee: Cornish and West Devon Mining Landscape, the Forth Bridge, The Palace of Westminster, Stonehenge, and Liverpool Maritime Mercantile City. The last, Liverpool WHS, remains on the “at risk” register for a further year. 2. The Report to the WH Committee and its now adopted decision on Stonehenge can be found here.